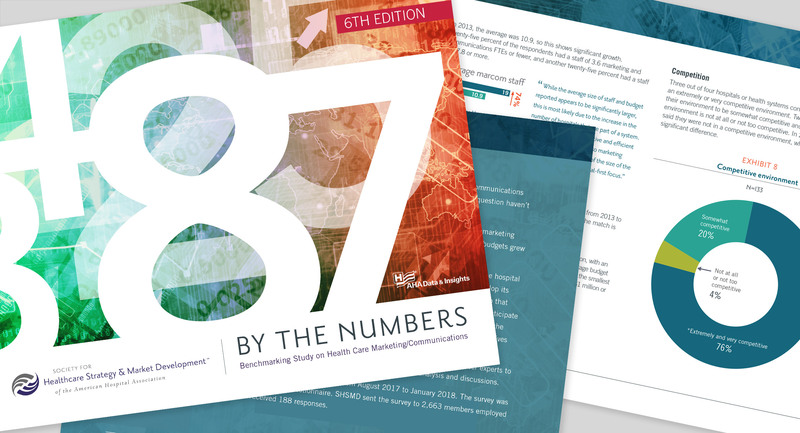 Since 1998, SHSMD’s By the Numbers benchmarking report has been the go-to source for information on healthcare marketing and communications departments: resources, responsibilities, and measures of ROI. 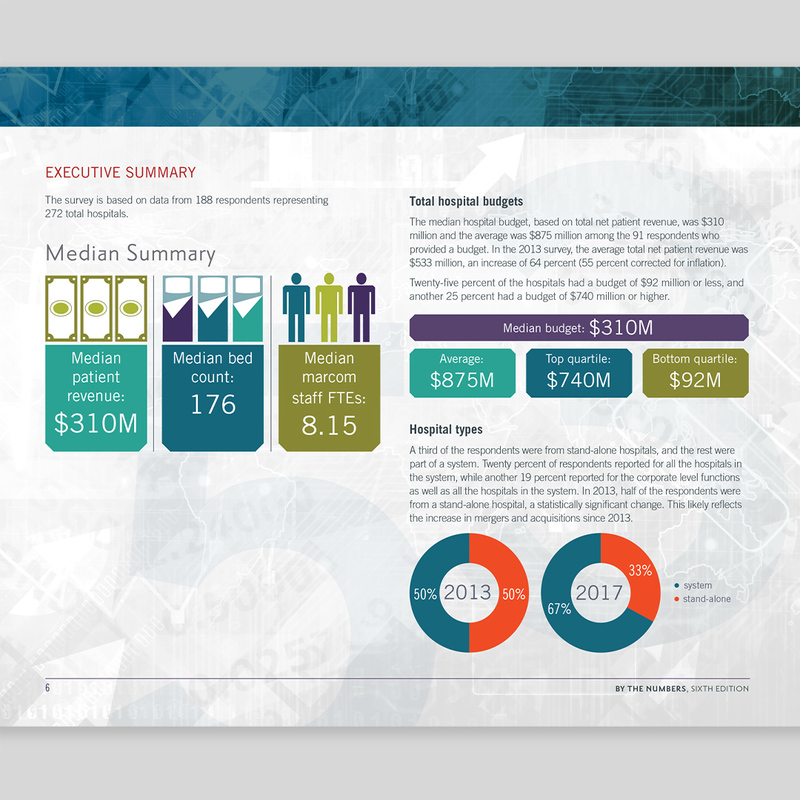 Based on a survey of SHSMD members, this popular report provides a snapshot of the current healthcare marketing communications environment through that data hospitals and health systems can use to assess their operations. 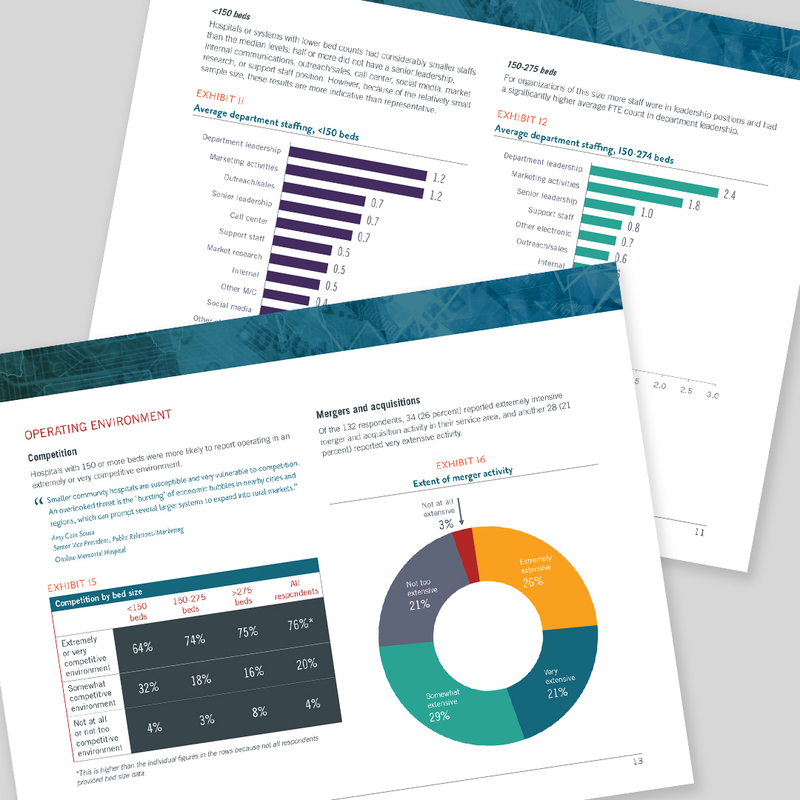 For the design of this year’s report, we carefully balanced the wealth of information conveyed with clear visual signals and bright graphs. Our goal with this report is always to showcase the data while leading the reader through the content in a friendly and engaging visual manner.